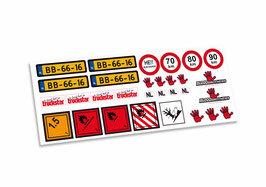 License plate decalset - STICK WITH US! In this set also: Truckstar, Min. 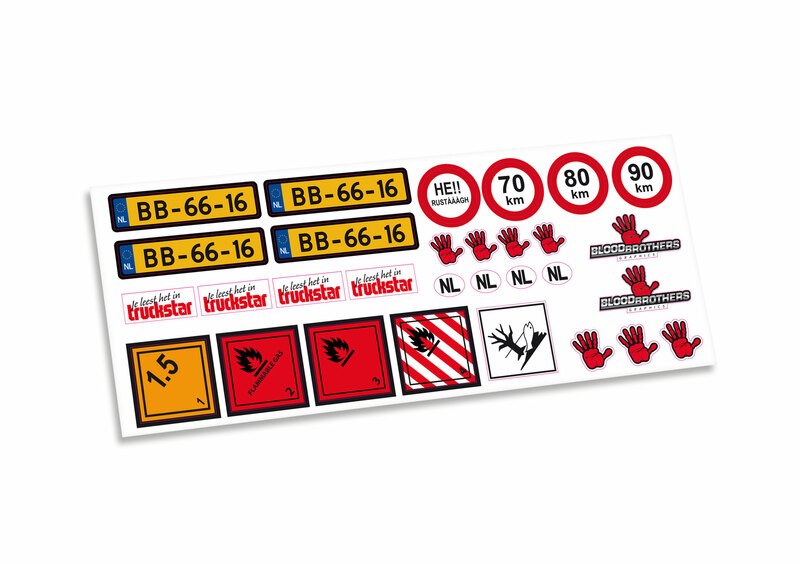 Speed, NL and ADR warning stickers. *Enter your license plate number in the comment section of your order. Fit perfect on all 1:14 rc trucks!